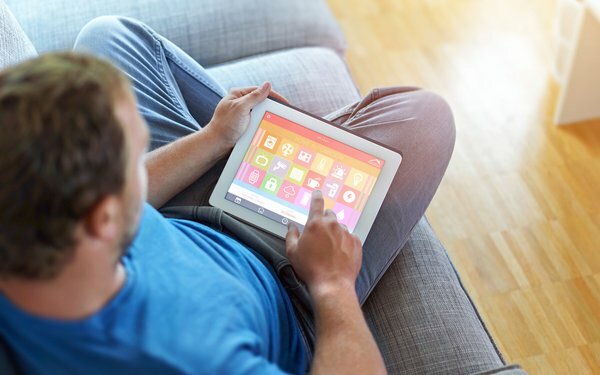 A number of consumers are embracing internet-connected devices significantly more than the general population, according to a new study by MRI. 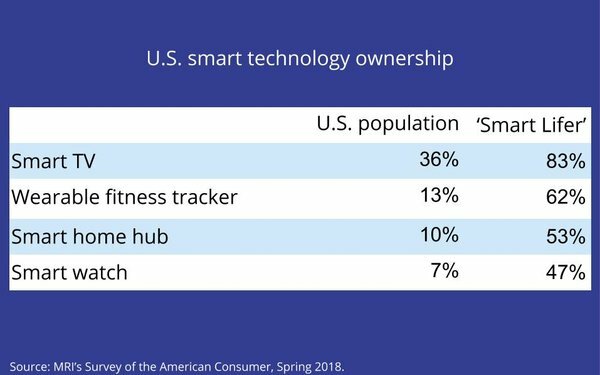 While the majority (51%) of Americans own at least one smart device, 6% have three or more and it turns out that these 16 million heavy users have a distinct profile. The majority (60%) of these smart device power users are married, half (51%) have children, the median age is 40 and they are equally likely to be male or female, according to MRI, a division of GfK. Smart devices measured in the study included smart TVs, fitness trackers, smart speakers, smartwatches, smart home hubs, smart thermostats and virtual reality headsets. By ownership, a large majority (83%) of smart device power users own a smart TV compared to 36% of the total U.S. population. Most (62%) have a wearable fitness tracker, 53% own a smart home hub, 47% have purchased a smartwatch, 36% have a smart thermostat and 17% have a VR headset. Other characteristics of these tech-savvy consumers include being influencers, brand loyal, world travelers, experimental, loving to shop, active, intellectually artsy and ad skeptical, according to the MRI report, which is based on its annual Survey of the American Consumer study comprising more than 24,000 in-person interviews. Smart device power users are heavy users of magazines and the internet and light users of TV. They are most reachable through top websites such as Amazon and Google Maps, top indexing websites such as Groupon and Fandango, top TV stations such as ESPN and HGTV and top indexing networks such as Comedy Central and MTV.